It has been a little over a week since I have returned from my grand travels across Europe and I still reeling from the incredible and unforgettable experience. It was also one of the most tiring of experiences I think I’ve had but, as the French say – c’est la vie baby! I travel quite a bit with my family, namely my aunt and Grandma, but this trip was a whole family affair and included my aunt, uncle, their spouses, my boyfriend, and my grandma. I thought traveling with 7 people was going to be the worst idea we’d ever had, but I am pleased and genuinely still surprised to tell you it was a heck of a lot easier than originally expected. A lot of it had to do with the fact that we were all more or less on the same page with our “down for whatever” overall attitudes. Sometimes that “just go with the flow” approach doesn’t totally pan out, let’s be honest, but in this case with so many people and such quick stops in each city we visited, we managed to keep the drama at bay. So why am I telling you all of this? Because I feel like the guides I’ve always appreciated the most tend to cater to the type of traveler I am, and who I’m traveling with. It makes a difference! My family and I are the types of travelers who want to enjoy each place we visit as the locals would, peppered in of course with a bit of the more obvious and touristy activities, but our priorities are usually food, cocktails, and a lot of walking. We’ll never be the zip line type – unless we’ve had several shots of tequila – and you probably won’t catch us on a segway tour, but you can count on us to do as much as we can to appreciate the best that each city has to offer – even if it means we opt in for a dorky tour. There’s always a time and a place. I’d like to prefice the following with a note that this is by no means a completely full guide to Paris. These are my personal reccommnedations for all of the things I know and love about the city. I defer to the professionals for the more in depth perspectives and suggestions, but I’d like to think of this list as the list your friend sends you when you ask them for their favorite spots. It’ll always be here for you to refer back to (and for me to refer back to lets be real here) and I hope that you will! If you have your OWN Paris “musts” – please, please please comment with them! There’s nothing better than a personal recommendation, so please share your knowledge with the rest of us. NOW. 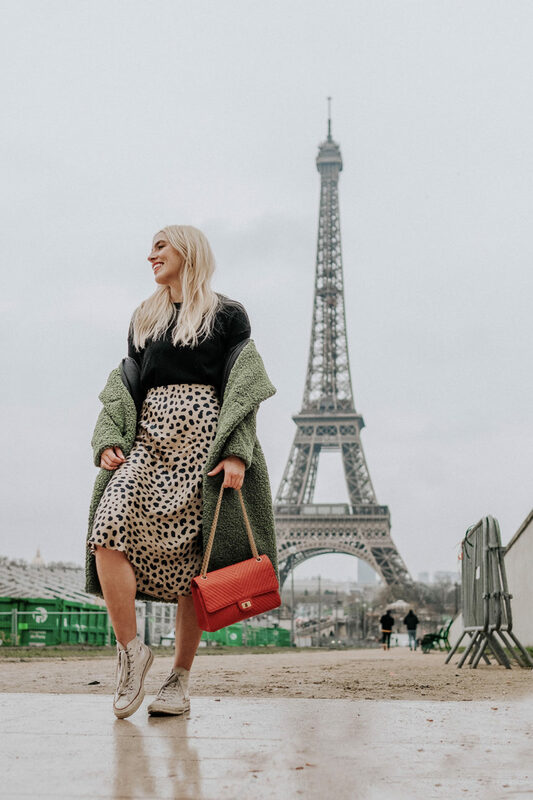 let’s talk about Paris, shall we? Ahhh Paris. I don’t even know where to begin with Paris because, like Los Angeles, it feels like one of those cities you will just never fully conquer. It’s a bit overwhelming in size and there is no shortage of things to see/do/experience. 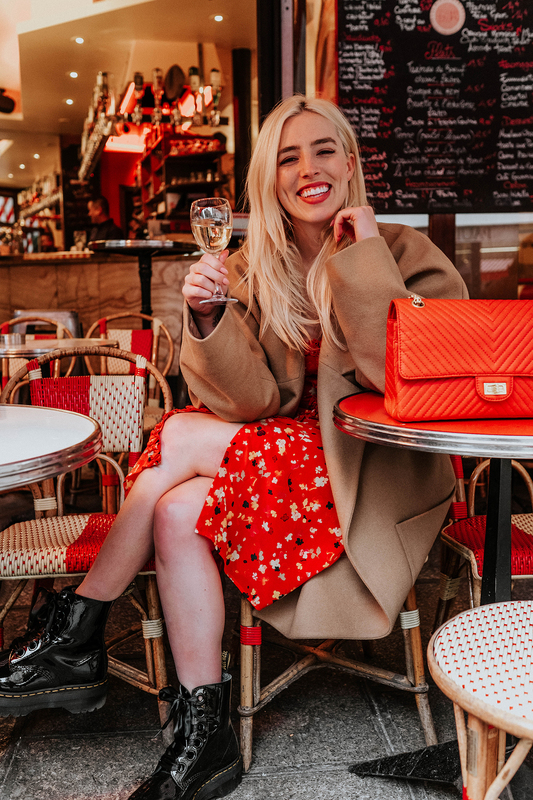 There are tons of ways to experience Paris, and as I previously mentioned, I usually get the most out of the Parisian culture by way of bistros and brasseries. If you haven’t been to Paris, it’s clearly a must. Even Tommy (boyfriend) who once was a “Paris hater” (before he’d ever even been!) has seen the light. It is an absolutely magical city, there’s just no denying it! 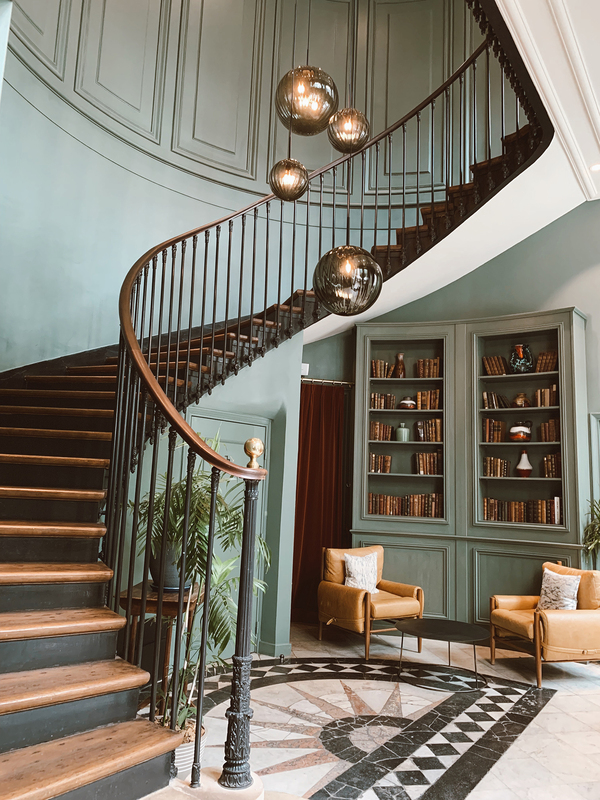 If you have a go-to hotel brand, I guarantee Paris has one. I have now been to Paris twice, and the first time we stayed we actually booked a beautiful apartment via a website called Paris Perfect. In my opinion… this is the way to go. 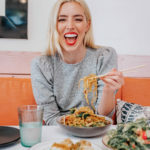 They have some seriously insane apartments, they’re wonderful people to work with, and it always ends up being a way better bang for your buck – especially if you’re traveling with other people and want to keep costs down and stick together. This past trip, however, since we were traveling with such a large group, we opted for a hotel so we could have some space and we ended up choosing The Hoxton. The Hoxton is a brand from the UK (they’re launching a Hoxton LA this summer! ), and it is an awesome, very chic – yet affordable – boutique hotel. They have a great restaurant, the rooms are very comfortable, the staff all speak English and are super friendly, and I would happily stay there again on my next trip back. Bar Du Marché is the first place we go when we come to Paris! 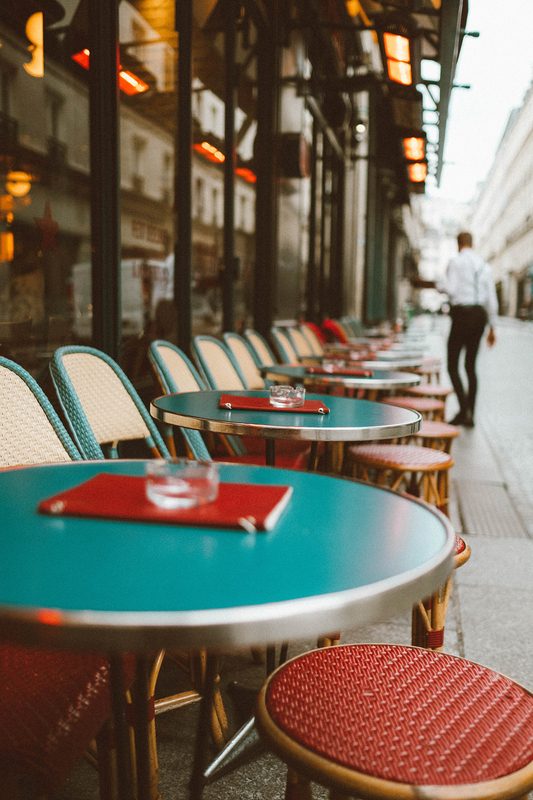 It’s on a perfect street in Saint Germain, and it feels like a truly quintessential Parisian sidewalk cafe. Bring your camera because that pop of red… please see photo above for evidence of Instagramabilty. It’s also within walking distance to so much, namely one of our next favorite restaurants: Fish La Boissonnerie. Another mandatory Rhodes family stop, Fish La Boissonnerie (right around the corner from Bar Du Marche in Saint Germain) has some of the best fish-centric, “home-cooked” dishes I’ve had in Paris. It’s owned by Juan Sanchez – a Cuban American who moved to Paris in 1989 – who opened Fish La Boissonnerie in 1999. Today Chef Sanchez has a number of beloved ventures around the city which I still need to try, this is just one of those places I always come back to! 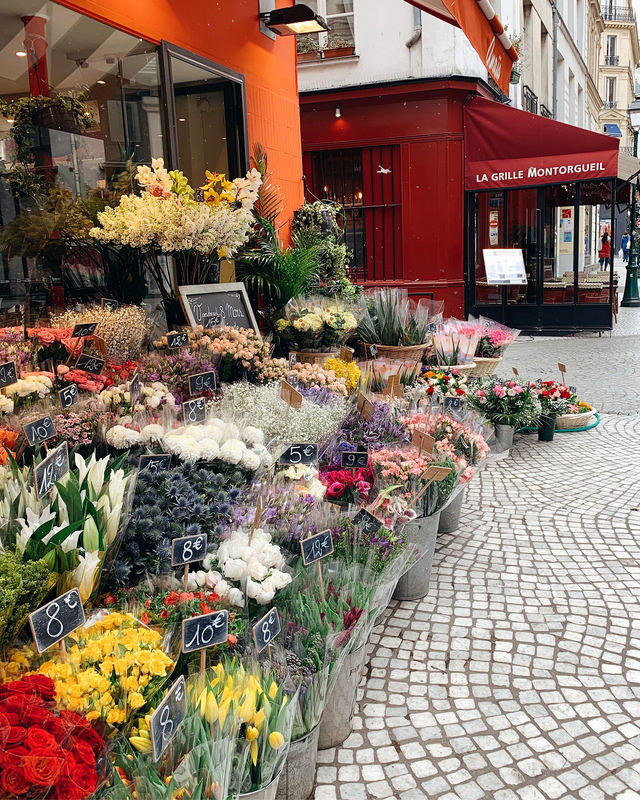 We stopped in here on our way to the Eiffel Tower but knew we wanted to find something on Rue Cler – one of the cutest streets in Paris. Le Petit Cler is once again everything you could hope and dream for in terms of a little cozy Parisian bistro – and they’re open for lunch at normal hours! (The dining hours in Paris… so odd for us Americans.) Le Petit Cler offers all of your typical bistro items, and they do them all superbly, but this is one of those places where you should definitely order the cheese board and bread. And wine. Always wine. This was an AWESOME super hip spot in the 6th arrondissement to sit outside with a glass of wine and people watch. It has a really cute design, it’s relatively large, and it’s down the street from one of the best restaurants I’ve ever been to in Paris – Brasserie Vagenende. If you’re looking for the ideal spot to sit outside, sip on wine, snack, and hang out for a while… Le Hibou is perfect. Chez Francis is THE place to go if you wish to sit outside and watch the Eiffel Tower light up at night. I wouldn’t recommend staying for food, but for drinks and a light show, it is PERFECT. Did you even go to Paris if you didn’t visit Cafe De Flore? It’s an iconic Parisian institution, and it’s mandatory. Cafe De Flore, located in Saint Germain, is one of the cities oldest coffeehouses having opened in the 1880s. It has been known to be a celebrity haunt since pretty much forever and is still a beloved destination by many. Myself included. I always pop in here as an “in between” stop for a coffee or a cocktail – if you like Aperol Spritz’ make sure you order their signature Veneto Flore. Arguably my favorite cafe we went to on our entire trip, this is just one of those places I will never forget! 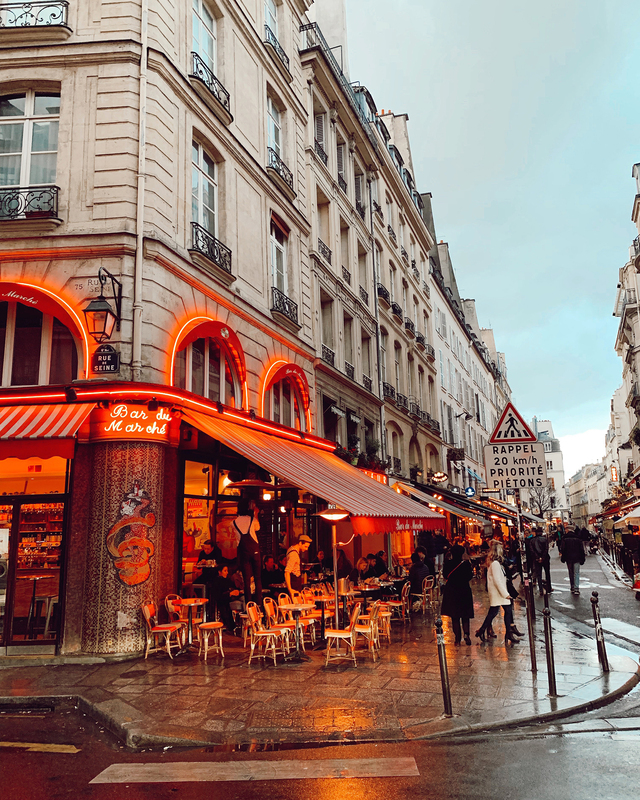 Le Cafe Du Centre is located a little less than a mile from the Hoxton in the 2nd arrondissement off of a fun and bustling street filled with other cafes and vendors. What stood out about Le Cafe Du Centre in particular – despite it being positively picture perfect – was actually the food. This was some of the best food we had on the trip, and really all we ordered were frites, wine, and cheese plates. But for whatever reason, it was exponentially better than anything we’d had anywhere else! Another Rhodes family tradition is to end our trip by having our last dinner in Paris at the widely beloved L’Auberge Dab in the very chic 16th arrondissement. L’auberge Dab specializes in seafood, and they are certainly known for it. Not only will you have a fabulous seafood dinner, but you will have the chance to dine in one of Paris’s most quintessential and classic old school Parisian restaurants. Did I mention it’s really pretty too? This is where I leave you and defer to the professionals. I will however say – Versailles is worth the trip, just GO EARLY. The book that inspired the blog (MY blog! ): The Sweet Life In Paris by David Lebovitz. It’s by no means a traditional guide book, it’s a novel, but it’s just a fun read that happens to have recommendations here and there. If you’re looking for the MASTER LIST of the best restaurants in Paris, he’s the man to trust! He’s also got a list of the Best Pastry Shops in Paris worth taking a gander at as well! I LOVE this book – Don’t Be A Tourist In Paris – by fellow writer/blogger Vanessa Grall. I feel like she is the “me of Paris” in a way, but she’s got a beautiful book to show for herself! It’s an awesome way to curate your desired experiences within the city. I could not recommend this book more. Another AWESOME guide book to the city – Paris Precincts. This one is a bit more “traditional” in terms of its layout but it’s totally up to date and really easy to digest. They have great recommendations from a super local perspective. Goop is responsible for my favorite city guides… ever. 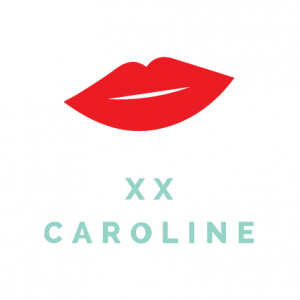 They just do it right – and honestly, I find them to be incredibly approachable and accurate. They’re not budget guides per se, but I’m in my 30’s now people, not tryin’ to travel super light these days! PLUS, in this case, they have several variations of guides to Paris so you can choose accordingly to what you’re interested in! We are going for Thanksgiving this year – I can’t wait to try some of these out!